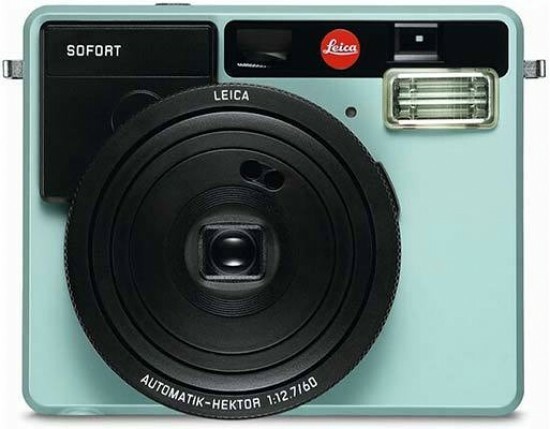 The promise of life long memories in an instant is a powerful draw – and the Leica Sofort is one of the best looking instant cameras out there – alongside its Fujifilm Mini 90 near twin. It certainly has the requisite 1970s/80s charm, even if, and our only real nit-pick, the battery cover felt a little flimsy on our sample. We could argue until the cows come home about whether its price tag is personally justifiable when it’s twice the cost of the competition, yet at a manufacturer’s suggested £230 at the time of writing it is also the least expensive Leica camera you could hope to own, and is never going to be a mass market concern, something else worth bearing in mind. It’s been designed by Leica Camera Germany as the exterior proudly announces, not Fuji Japan, and that comes with a premium. Operationally, the camera functions well (identically well to the Fujifilm in fact) and certainly does the job. There’s still an inherent thrill to be had in waiting a couple of minutes for an image to full emerge from the cloudy gloom of the developer, just like in the hobbyist darkrooms of yore. It’s a long time – 15+ years – since we’ve used a camera without a backplate LCD, though the Leica does provide a narrow function display panel and a row of function buttons stacked vertically alongside it, which neatly hides both the rechargeable battery and compartment for stashing the film pack. For those who want to get creative – or merely point and shoot – there are the selectable shooting modes described in the body of the review, including one for the ubiquitous selfie (handy mirror window provided above the lens), along with flash and self-timer. Of course, this is the sort of camera you want to be able to hand to someone a party and have them taking your picture straight away, so a lack of clutter when it comes to controls makes sense. Like Fujifilm, Leica is offering a monochrome film pack for its camera (at £11), which, as with the colour packs (at £9.50), affords 10 shots/exposures. Colour packs that provide 20 shots in total are also available at £15.50, which suggests better value and brings the price per print down considerably. Put simply, this is a rare opportunity: a Leica mostly anyone can afford and, moreover, a Leica that anyone will be able to pick up and use from the get go.